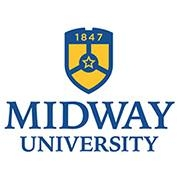 If you are not registered in the Midway University password system please visit http://aka.ms/ssprsetup and provide a personal email address as well as a mobile number. Both will be verified as functional upon entering. Authentication methods will then display. Select an authentication method and have it email, text or call the method to verify your identity. Once verified via two methods you’ll be taken to a screen that allows you to enter a new password (twice). Click “Finish” and so long as the password meets the complexity requirements your password will successfully be change. If you encounter any issues along the way and are using Windows 7 or Windows 10 you can search for “Snipping Tool” and use this to provide screenshots to Help@Midway.edu with any errors that you receive so that we can provide further assistance and troubleshooting.